The newest member of the Quirky Coffee Co family has arrived, the Southsea Blend. Think of the gentle waves tickling your toes, the sun shining in the sky and the sweet smell of the fresh coastal air. That is exactly the enjoyment that you will get when you try our Southsea Blend, the best coffee that can be found in Portsmouth. The historic city of Portsmouth now has it’s own blend of coffee to add to it’s treasures of the sea. Based on the coast of Hampshire, Southsea is a seaside town full of wonderful places to visit. Whether you are visiting for just one night or staying for a few days Portsmouth offers so much to see and do. Quirky Coffee Co has the pleasure of assisting you in your retreat and we are now stocked in Holiday Lets across the area. Working with Home from Home Portsmouth and Share Lair, you will receive a complimentary bag of our Southsea Blend upon arrival. The Southsea Blend combines two delicious single origins. The fruity Colombian La Laguna and the floral nutty notes of the Ethiopian Lekempte. Both of which are SCAA rated and rightly hold the titles of Speciality Coffee. Our blend is original and flavoursome, whilst still being an easy-drinking coffee that will certainly get you up and out of the door each morning. Taste the hit of big red fruits followed by a smooth tasting crème brûlée all topped off with a nutty finish of hazelnuts. Coffee can be drunk and enjoyed in so many ways. 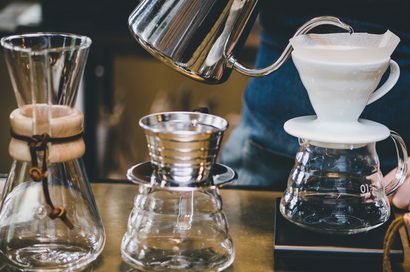 You may prefer the quick shot of espresso, or a creamier latte – whichever way you brew your coffee the Southsea Blend is a splendid all-rounder for all brewing methods. 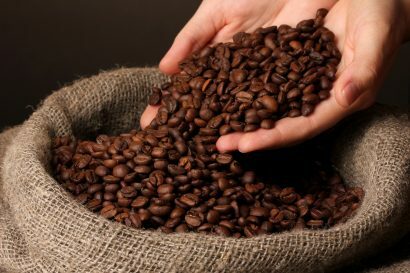 Providing only the most exquisite 100% Arabica coffee beans we source gourmet beans, roast them and deliver them directly to your door. Our range of Single Origin coffees are spectacularly tasty and our blends are full of quirkiness, flavour and only available from us. Our founder Michelle is always creating new blends – so watch this space for additions to the Quirky family! Life is busy for us all and getting to the seaside for a short break is not always possible. Let the seaside come to you, enjoy this magnificent blend of luxury beans at home or at work, taking a moment to savour every last mouthful. If you would like to check out our other coffees that can be delivered to you please visit our store. Are you a business in Portsmouth? Would you like to get exquisite coffee to your customers? Please go to our contact page and let’s talk, over a coffee! 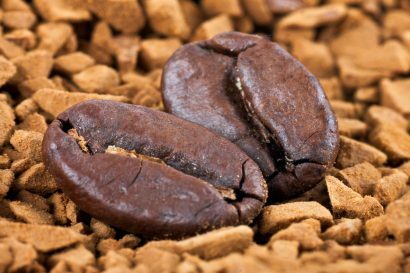 What are Arabica Coffee Beans?